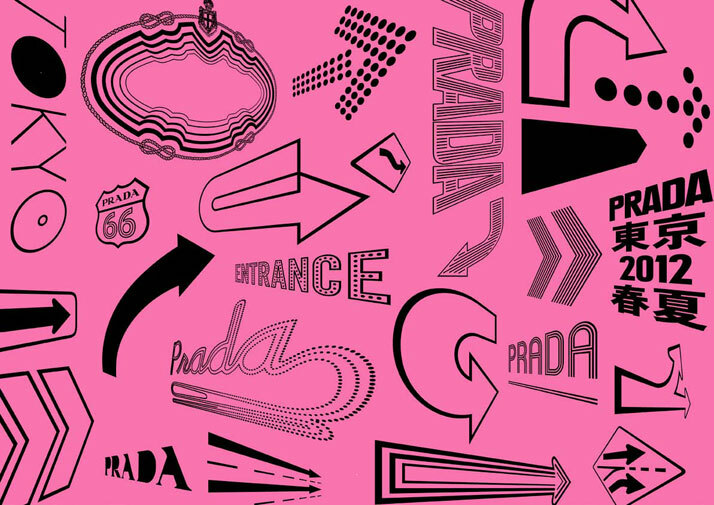 In mid-November 2011, Bryan Boy, the extravagant fashion blogger, ‘tweeted’ his excitement about ‘collaborating with the PRADA team’ giving us no more hints however about any other details. 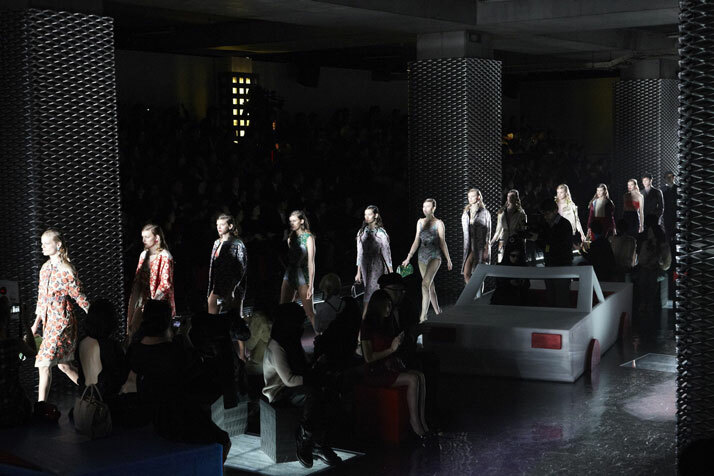 The story unfolded itself over the course of the following weeks which in turn made us appreciate our digital era, where fashion shows are streamed live on our phone screens and the handlers of internet blogs become our eyes, through which we see the world. 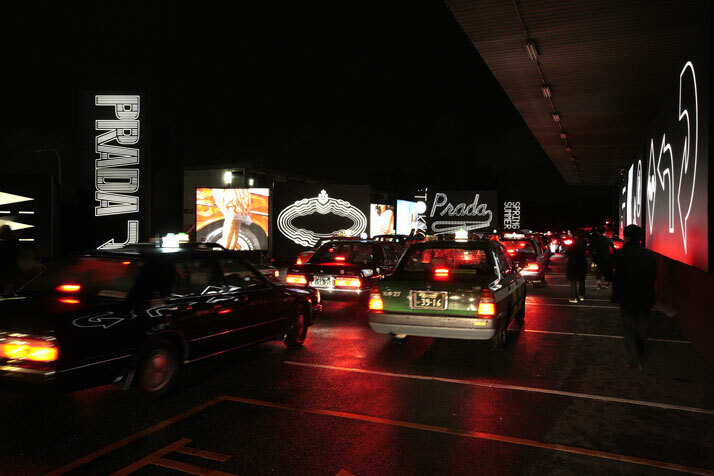 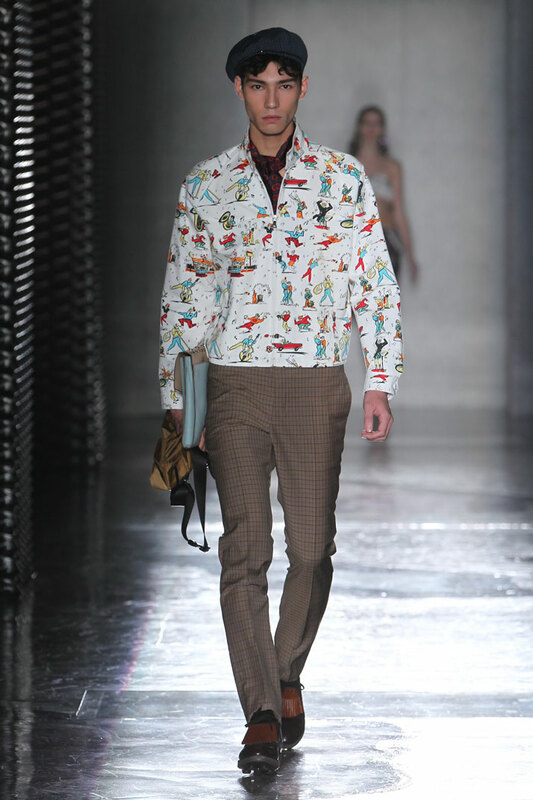 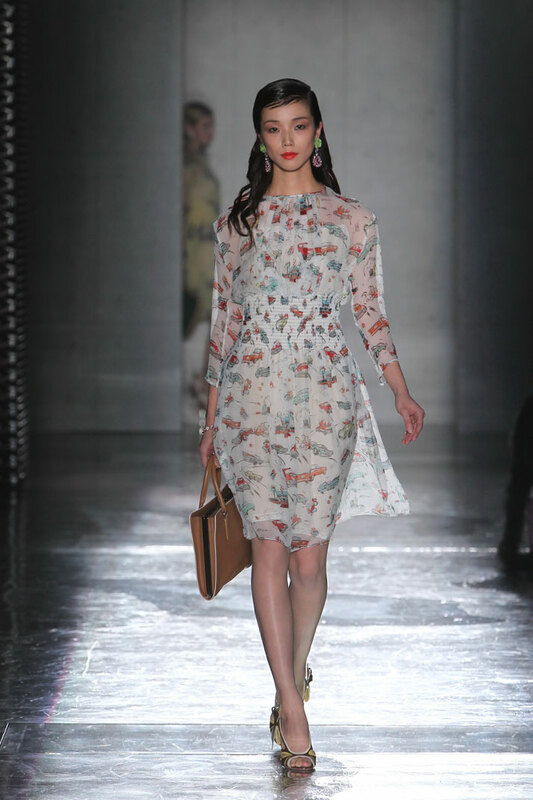 On December 6, 2011, Prada presented its Spring/Summer 2012 men’s and women’s collections in the industrial location Shin Shuna, in Tokyo Bay. 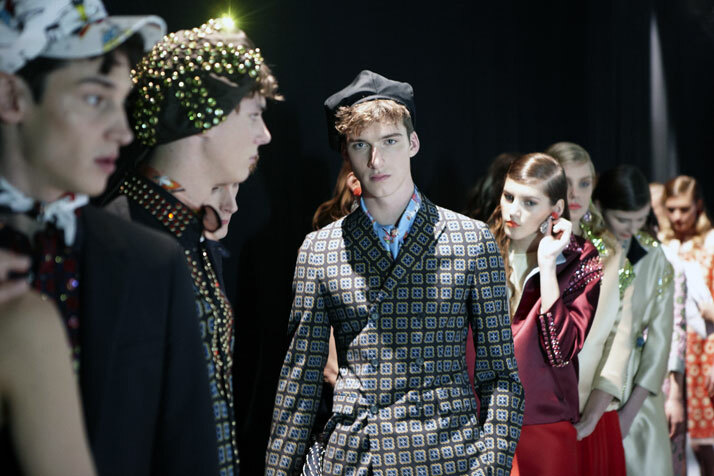 It was supposed to happen back in April 2011 for the A/W 2011 collection but due to the circumstances in Tokyo, Mother Nature changed the Italian brand’s plans. 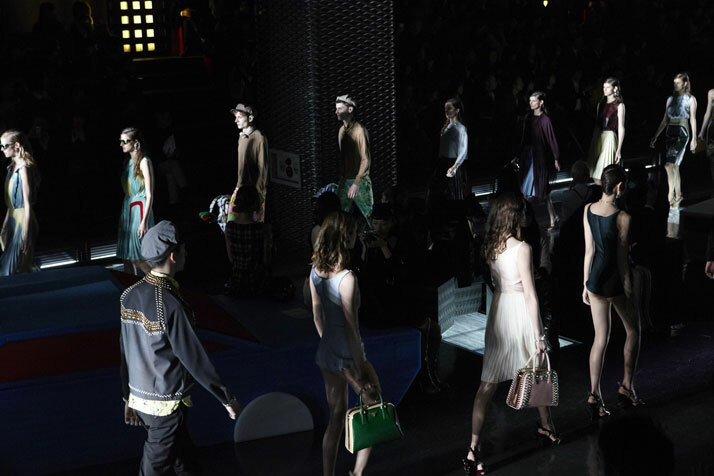 As this was the first show to be presented to the elite ‘Tokyottes’, Prada invested in a top-notch event concept where the fashion show’s location setup, an isolated warehouse space, was designed by OMA /AMO, Rem Koolhaas’s think – tank, whilst Michael Rock, the creative director of 2X4, created the event’s setup. 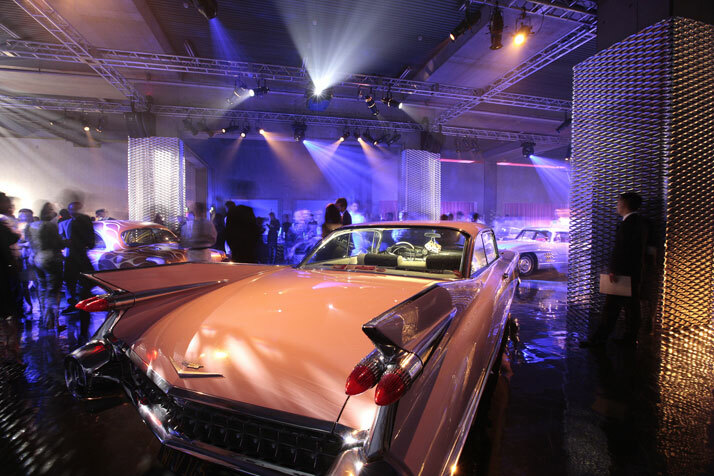 The event was inspired by the iconographic imagery of road movies from the 1950’s where graphics reminiscent of the Las Vegas neon themes added to the ambiance. 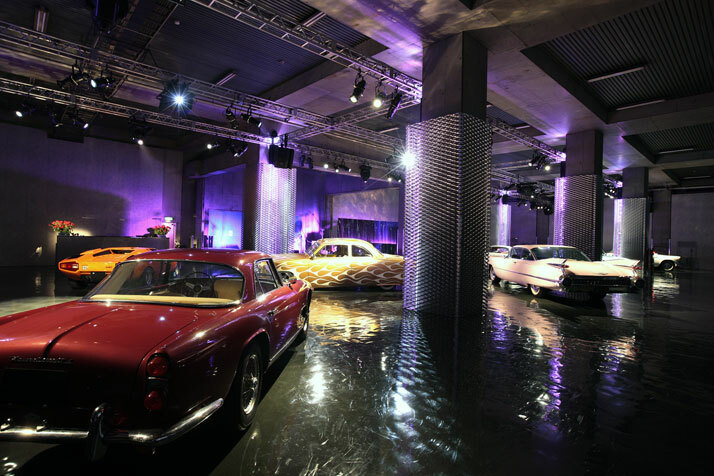 Inside, installations of car icons including a Bentley R-1 Continental, an Aston Martin DB5, a Pink Cadillac El Dorado and a blazing Ford Coupé (which the Prada team managed to collect in only three weeks) decorated the setup creating a connection with the red flamed–fin pumps and themes carried in the collection.